1.Coat the outside of a bowl that you plan to use as a mold with Vaseline. 2.Rip newspaper into thin strips and dip into wall paper paste. Wipe off excess paste from strips. 3.Layer the outside of the bowl with newspaper strips and let dry. Add 3 or 4 more layers on newspaper strips onto the bowl, allowing each layer to dry thoroughly before applying the next one. 4.This step is optional. Some people prefer a smooth look on the paper mache surface. This can be easily achieved by coating the paper mache with a 1/8 inch layer of all purpose joint compound. Smooth the surface as best you can with your fingers and let dry. After the joint compound is completely dry, take the bowl outside and sand with sandpaper. Make sure you wear a dust mask as it can get pretty messy. 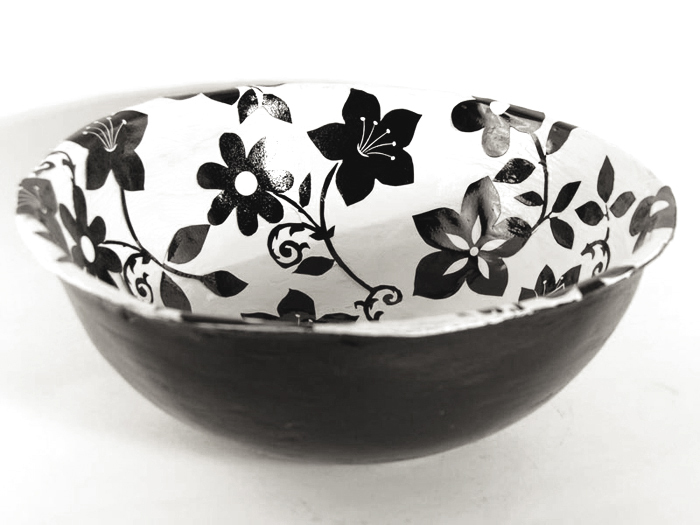 5.Paint the outside of the bowl black. 7.After the paper is dry spray the inside of the bowl with spray polyurethane and let dry. 8.Spray the outside of the bowl with the polyurethane and let dry. Your bowl is now ready to be admired! Just remember. 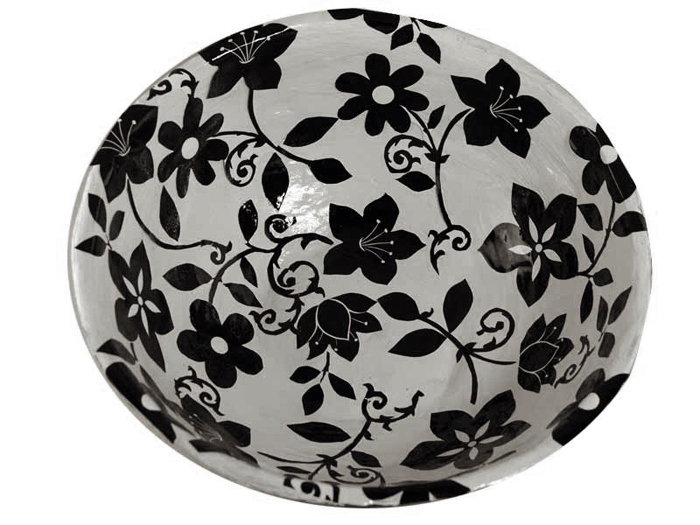 This bowl is strictly decorative. Do not immerse it in water. Just dust it off to clean it.